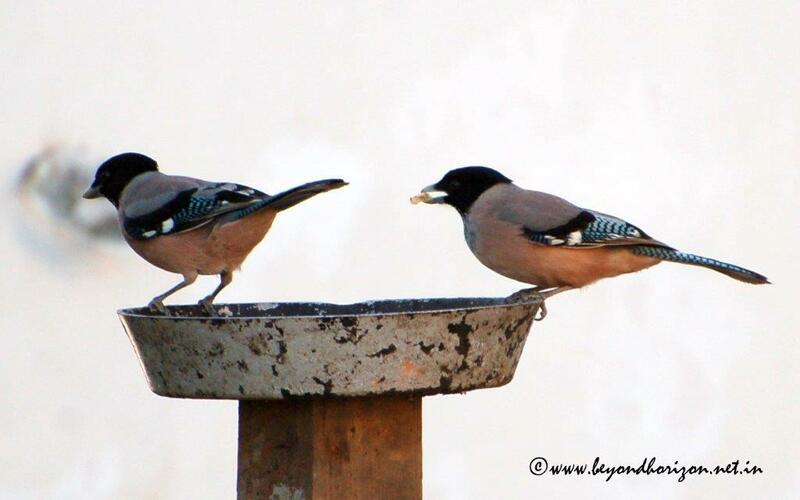 The Eurasian jay (Garrulus glandarius) is a species of bird occurring over a vast region from Western Europe and north-west Africa to the Indian Subcontinent and further to the eastern seaboard of Asia and down into south-east Asia. Across its vast range, several very distinct racial forms have evolved to look very different from each other, especially when forms at the extremes of its range are compared. The bird is called jay, without any epithets, by English speakers in Great Britain and Ireland. It is the original ‘jay’ after which all others are named. A member of the widespread jay group, and about the size of the jackdaw, it inhabits mixed woodland, particularly with oaks, and is an habitual acorn hoarder. In recent years, the bird has begun to migrate into urban areas, possibly as a result of continued erosion of its woodland habitat. It’s usual call is the alarm call which is a harsh, rasping screech and is used upon sighting various predatory animals. 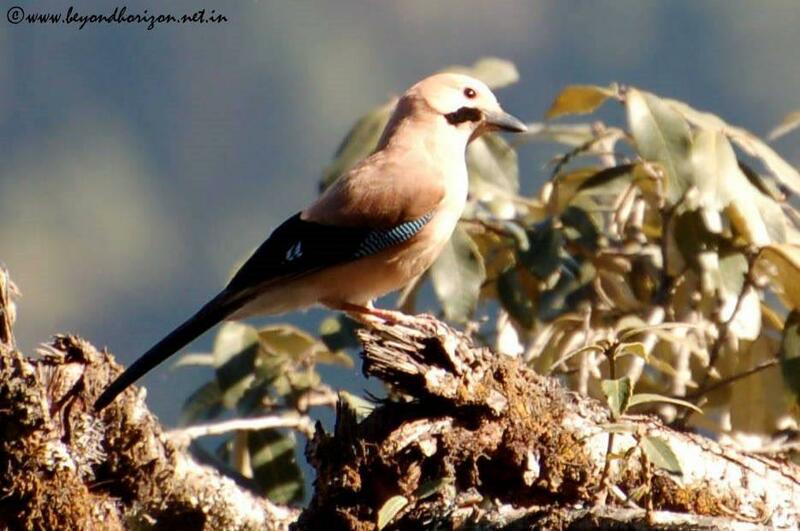 But the jay is well known for its mimicry, often sounding so like a different species that it is virtually impossible to distinguish its true identity unless the jay is seen. It will even imitate the sound of the bird it is attacking, such as a tawny owl, which it does mercilessly, if attacking during the day. However, the jay is a potential prey item for owls at night and other birds of prey such as goshawks and peregrines during the day. The black-headed jay or lanceolated jay (Garrulus lanceolatus) is roughly the same size as its close relative the Eurasian jay, but a little more slender overall except for the bill which is slightly shorter and thicker. The top of the head is black and it has a more obvious crest too and a longer tail. It ranges from eastern Afghanistan eastwards, across the Himalayas, from India to Nepal and Bhutan. It occurs in wooded country with large areas of open ground rather than dense forest. It also occurs in some cultivated areas and even near villages as long as there are enough trees and scrubland nearby. It feeds both on the ground and in trees and takes virtually the same wide range of plant and animal foods as its close relative, including eggs and nestlings, as well as scraps near human habitation.